Last edited by Mark R on Wed Jun 13, 2012 5:40 pm, edited 1 time in total. A group of us went down the Walkham at low-medium levels on Sun and literally ran into large oak tree right across the river. It's soon after a bit of a bend, so requires a quick get out. No one was hurt, but it could've been nasty. My estimate is it is 1.5 km below Bedford Bridge, just before the grade 3- section. Sorry not to be more precise - I don't have a detailed. map. It's going to take some shifting though. Ross W wrote: Size? Rough diameter? My memory says medium sized oak tree. Its trunk had been cut thru so it falls right across the river. Hope that helps. Its a real hazard, so respect to anyone making time to clear it. I'd offer to help, but Brighton's a long way! ChrisO wrote: Its trunk had been cut thru so it falls right across the river. Your comments almost makes it sounds a little sinister as to how the tree got into the river. 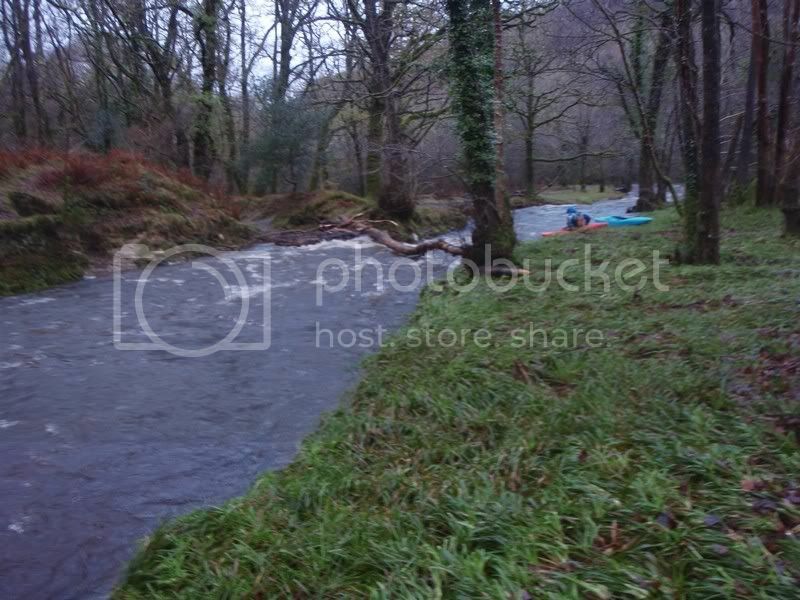 I know that we paddlers are not popular on the Walkham and Lower Tavy, but I do not feel actions like these would be undertaken, and perhaps the tree was cut, so it ended up in the river, to be washed away and not cut up for fire wood. paddled the walkham 2 weeks ago and tree twas there. Didn't hink anything of it as it was such low levels we just bimbled underneath. It is quite a way before the slot, would say about a quater of the way down the river. A couple of very poor photos of the tree on 9th November. It is well down the Walkham section (below the foot bridge and stone bridge) but before the slot. There were some guys clearing the path on river right with chain saws - I'm guessing it was derived from this activity. 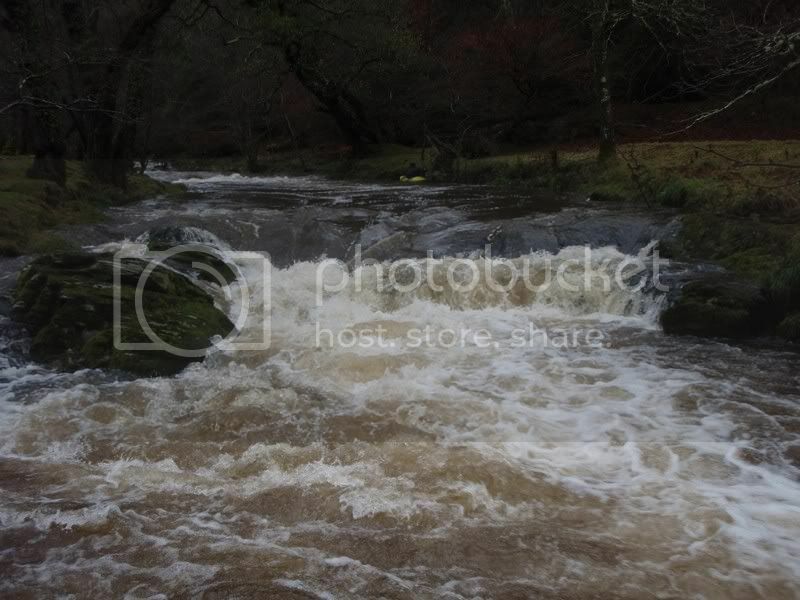 A group of five of us did the Lower Walkham into the Tavy yesterday and there were a number of trees down. One just below the first weir on the Walkham that would be a threat in medium to higher flows. The one mentioned above is still there but we were able to get over the submerged part, river left. 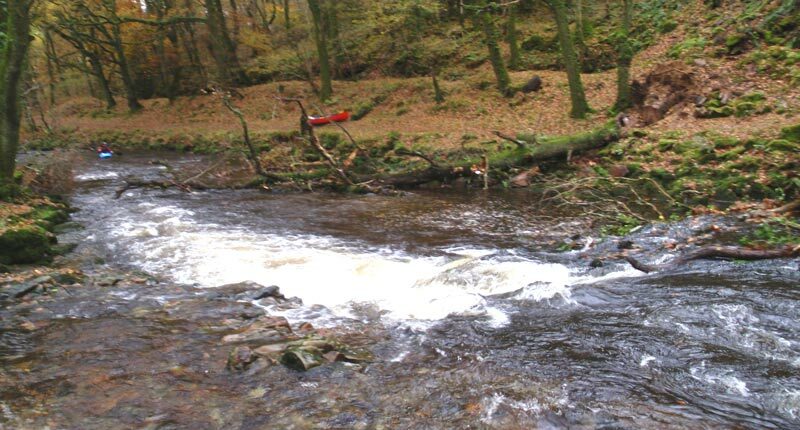 We also had a problem with the weir on the Tavy with a boat becoming pinned in the second part of the fish steps. The paddler eventually came out with a story to tell. It took 3 of us and a great deal of effort to get the boat loose. There is a tree across the Lower Walkham within the first 1Km after getting in at Bedford Bridge. Today with lowish levels, able with back on deck to get under it. At higher levels could be problem. This was a problem on saturday. Other pictures of the walkham at good levels. Feel free to use these in the guide if you need to. 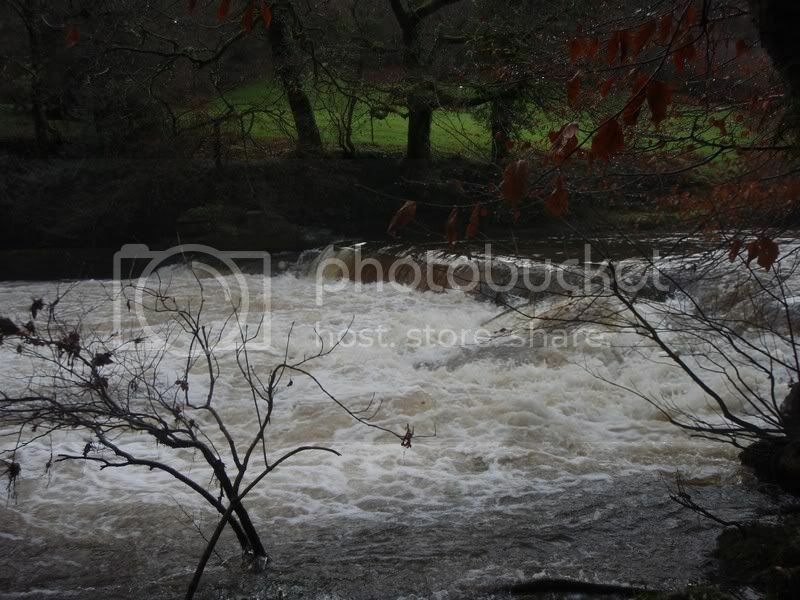 Andy Walker - 'At very high levels the footbridge just before the confluence with the Tavy does not have much clearance. River right is better - river left goes over a wave and you are very likely to hit your head on the bridge'. As the landowner and one of the 'guys' referred to in the above post I would like to clear this tree issue up metaphorically as I have already done so literally. The tree was blown over and this is evident if you looked at the stump in your picture. To suggest that it was deliberately felled and possibly (from reading other posts) so designed to cause an obstruction is offensive. The day it came down I cleared the path for walkers and riders and then over the next few days I did as much as I could to clear the branches obstructing the river as they were clearly a danger to canoeists. The rest of the tree I cut up in the river planning on the next flood sweeping the debris to the banks. This happened and the way is clear. This was done on a Sunday and out of concern for your safety and with considerable risk to myself. There are several posts on this site concerning large gardens and the right to keep these private etc. From my point of view I have several times had to clear up picnic mess from resting canoeists who have lunched on the bank of my favorite pool at Grenofen bridge. This is indeed my garden and is clearly just that. I do not wish to litter the bank with 'no stopping' signs, but would appreciate more consideration at times. I have absolutely no issue with your activities in spate conditions or in the fishing close season. It looks tremendous fun, my children and I enjoy watching you paddle by the house and as a sportsman I can appreciate the skill and physical challange. However it is a different matter when dozens of open kayaks drift down a low river in the summer, scattering the shoals of seatrout and ruining another persons enjoyment of the resource whilt lunching on his land. These trips seem to be run as a business at weekends and holidays under the outdoors experience banner. Wilst the tar from this brush may not apply to the majority of your readers neither does the assumption that trees are felled to obstruct you on the Walkham. Let us all enjoy the river together. Many thanks for this helpful and positive first post - and for your efforts in clearing the tree. Your support for fellow-enthusiasts regarding the Walkham is much appreciated, and I only hope that as a community we paddlers can all become more respectful of your rights and property, and that we can all enjoy our chosen activities with mutual tolerance and respect for each others use of the river. I introduced two of my paddling friends to the Lower Walkham earlier this season - in moderate water - and they thought it one of the best small rivers that they had paddled! Many thanks for your efforts in removing the tree on the Walkham and it is very poor to suggest that someone would do it deliberately, many apologies. I really like the positive way you have approached this issue and hopefully my fellow paddlers will respect your land. If you have a problem with any trees on this stretch of this lovely river I would love to come along and help you (PM me). Thanks for the replies. I'll post asking for a work party when the next big one falls in. ANYONE PADDLE IT IN THE LAST COUPE OF WEEKS? IF SO ANYTHING TO LOOK OUT FOR ? Paddled this section last Friday. Only problem was tree down across main stream a few hundred yards below put in. Easily avoided by taking right hand channel around small island. Otherwise great outing. Ross W wrote: This was a problem on saturday. Paddled the Lower Walkham on Sunday. The tree in the photo above is still there, literally only a few hundred metres from the put in. On Sunday it had an additional tree perched on top of it. A mentioned right channel is fine, but there is a tree branch partially blocking its entrance. There were a couple more trees down further down, but you could get round both of them ok, just keep 'em peeled. 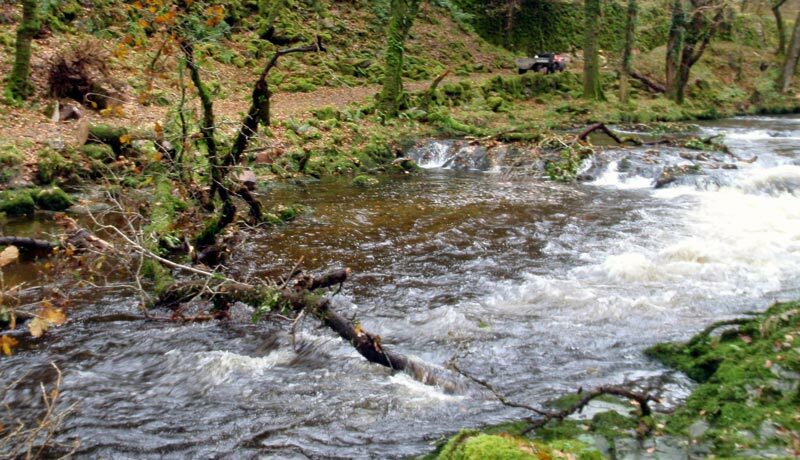 Assuming people are getting out at Denham Bridge, remember to read the guide and update for the Lower Tavy. I was aware of the problems at Denham Bridge, but forgot to check and was therefore unaware of the get out further downstream from the bridge. Will use this next time. Denham Bridge was manic, we got away as quickly as we could changing elsewhere, but people seemed to be having socials. It would make sense to either use the egress further down, or at least get away from Denham Bridge as soon as possible, as the traffic over the bridge was chaotic! 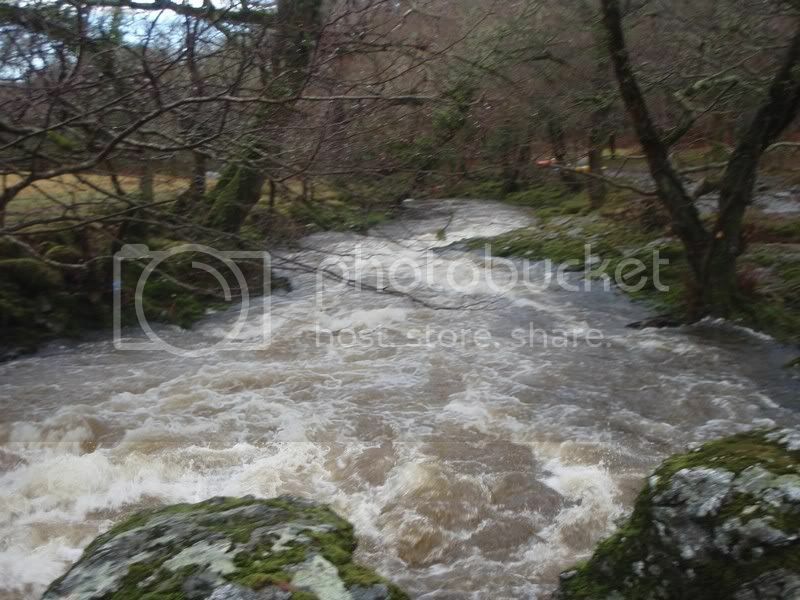 The Walkham today was at a good level and was meaty big and bouncy, no place for a swim. It dropped a foot by the time we got off it. For it to be good for Saturday it needs to rain on friday. What are the levels like at the moment? Joey_1990 wrote: What are the levels like at the moment? Very, very, very low. However rain is due tonight and on Saturday morning, whether this will be enough to change river levels, this is uncertain.